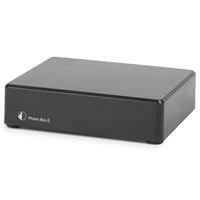 The Phono Box E is a reliable, well-built phono stage with a modern aesthetic appeal. Designed specifically to amplify your moving magnet cartridge output to Line level; the form factor of the unit is small and subtle, so it can be placed near the turntable or alongside your existing system without being intrusive. 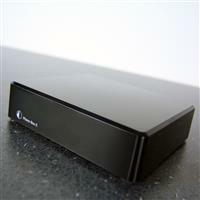 The Phono Box E accepts Moving Magnet cartridges only, and delivers a hi-fi music experience for an entry-level price. The advanced circuitry and SMD construction keeps noise and distortion at a low level, while the integrated shielding and outboard DC power supply reduce the risk of external interference. Input and Output sockets are gold-plated, to ensure the highest quality performance. 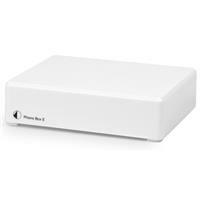 The Phono Box E is simple to use and great to listen to. Perfect for budding audio enthusiasts. A phono stage takes the low-level electrical signal, generated by the pick-up cartridge on your turntable, and amplifies it to LINE level. 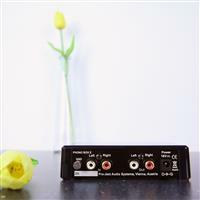 When it's at LINE level, you can connect the outputs of your phono stage to any LINE or AUX input on your amplifier. If you do not have a phono stage, when you connect the turntable to your amplifier the signal will be very quiet, and if you turn it up to normal listening level it will sound distorted and noisy. Your amplifier has a Phono input. In both of these cases, the built-in phono stage needs to support your pick-up cartridge (see below). Do I need a specific type of Phono Stage? Yes. 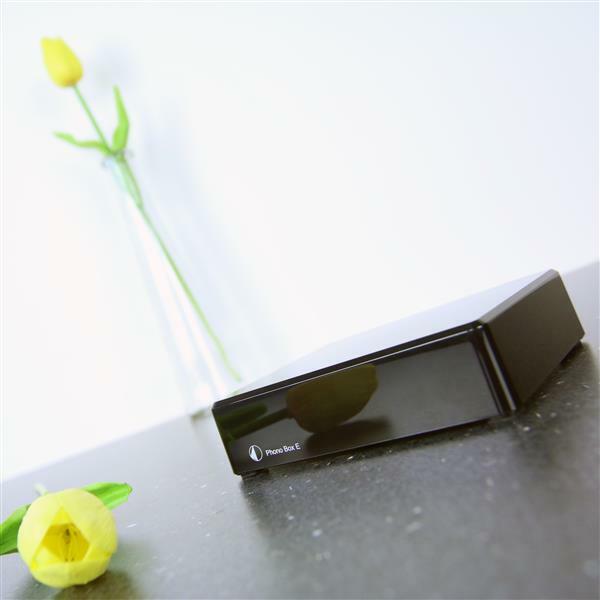 You need to buy a phono stage that suits your particular type of cartridge. If you have a Moving Magnet (MM) cartridge, you need an MM-compatible phono stage. If you have a Moving Coil (MC) cartridge, you need an MC-compatible phono stage. This is due to the different output levels of MM and MC cartridges (as MC cartridges are so quiet, they require more Gain).